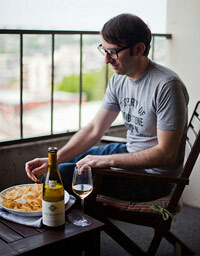 Gruner Veltliner from Austria has long been a grape that produces some of my favorite, everyday white wines. But a Hungarian Gruner Veltliner? That was new to me. Every now and then I have to tip my hat to Trader Joe’s for bringing me something unique and under ten dollars. 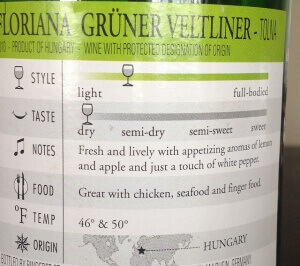 Though I will admit to being confused by one part of this label, and Gruner Veltliner in general. 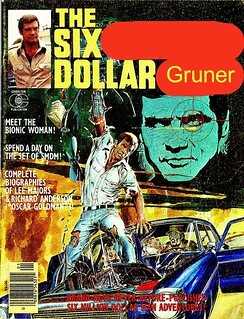 Every single time I read something about Gruner, “white pepper” is mentioned as a signature smell and taste. What does white pepper smell/taste like? And how is it distinct from black pepper? (Best random internet answer: “Black pepper is emo white pepper.“) From what I gather, white pepper can be a little more earthy, funky, barnyard-y. But more research is necessary. So the next time you’re at Trader Joe’s and you see a guy buying nothing but Gruner Veltliner and white pepper, be sure to say hello to me. Thanks! Clearly I pose little threat to you as a graphic designer. Maybe it’s a job for you? The 2011 vintage is just as good. Thanks for the tip; glad to hear it.